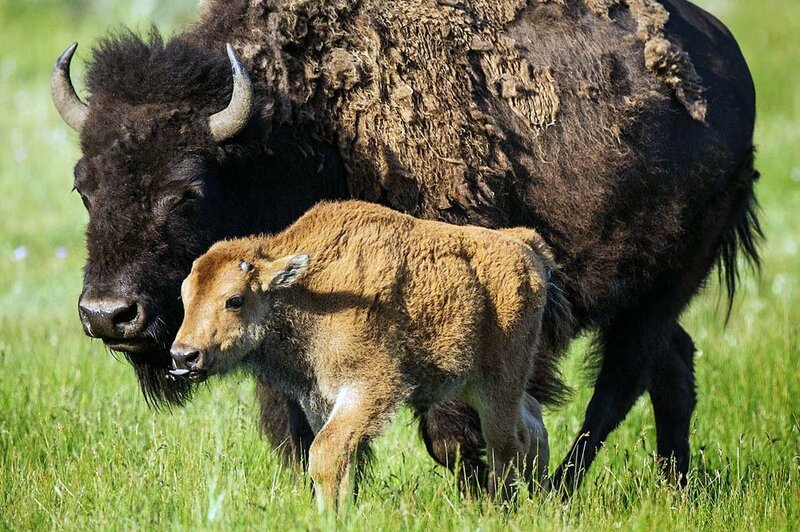 Bison once numbered 30–60 million in the Great Plains. An icon of the plains, males weigh up to 2,000 pounds and measure 6 feet high at the shoulder. Bison are highly adapted to life on the plains: For example, in winter their metabolism slows to 25% of its summer rate to conserve energy when forage becomes scarce.